Jem Finer's Longplayer is a 1,000 year long composition that's been playing continually at listening posts around the world since the beginning of the millennium. For 1,000 minutes this October 16th it will be performed live by 18 musicians on an 60 foot-wide, custom-built instrument, integrating both its score and instrumentation - an orchestra of singing bowls - in YBCA's Forum. 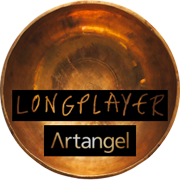 Longplayer will be presented with the Long Conversation, an epic relay of one-to-one conversations among some of the Bay Area's most interesting minds. Interpreting the Long Conversation in real time will be a data visualization performance by Sosolimited; an art and technology studio out of M.I.T. Jem Finer started working on the concept of Longplayer in the mid 1990's when he was struck by a general lack of long-term vision as we approached the year 02000. He discovered Long Now first through reading about us in Brian Eno's book, A Year With Swollen Appendices and grew to be a close friend of the organization through subsequent conversations and interactions with Brian Eno, Stewart Brand, Danny Hillis and Alexander Rose. Longplayer grew out of a conceptual concern with problems of representing and understanding the fluidity and expansiveness of time. While it found form as a musical composition, it can also be understood as a living, 1000-year-long process – an artificial life form programmed to seek its own survival strategies. More than a piece of music, Longplayer is a social organism, depending on people – and the communication between people – for its continuation, and existing as a community of listeners across centuries. Jem Finer is a UK-based artist, musician and composer interested in photography, film, computer science, experimental and popular music and installation. Longplayer represents a convergence of many of his concerns, particularly those relating to systems, long-durational processes and extremes of scale in both time and space. Requires an .m3u compatible player. Longplayer began playing at midday on the 31st December 01999 in the lighthouse at Trinity Buoy Wharf, East London, England. 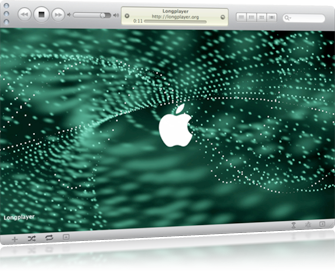 You can listen to Longplayer in several locations around the world and on your own computer. As part of Longplayer, Long Now is hosting the Long Conversation, a relay of 19 speakers over 6 hours. This format came about as part of the Artangel Longplayer Conversations, produced by The Longplayer Trust in partnership with Artangel, a UK based arts organization founded in 01991, which "commissions and produces exceptional projects by outstanding contemporary artists" (among them, Longplayer). The first few Longplayer Conversations were envisioned as public conversations between leading cultural thinkers who had never met, to engage in a discussion inspired by the philosophical premise of a project which unfolds, in real time, over the course of a millennium. Laurie Anderson and Dorris Lessing inaugurated these conversations in 02005. Only in 02009, for the first live performance of Longplayer, did the relay style Long Conversation develop. This first Long Conversation unfolded between 19 people over the course of 12 hours; all of the audio of the conversation is available online and to download. Contemporary Jewish Museum, SoSo Limited and Yerba Buena Center for the Arts. Photos by Christian Payne. | Page design by Ben Keating.